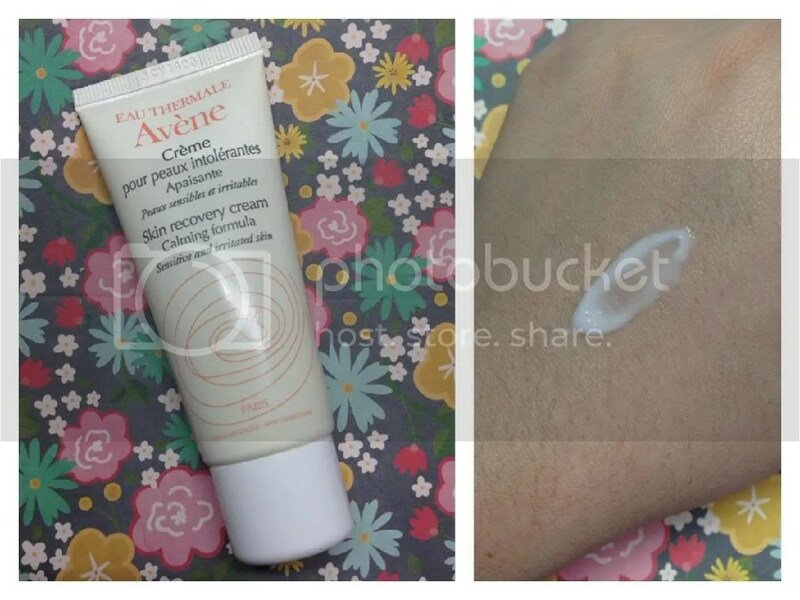 A really quick review on a moisturiser – I was reaching out for this Avene Skin Recovery Cream one day and realised that it is nearly empty! I’ve loved it so much but have yet to mention anything about this – how rude! As can be seen on the tube, this is meant for sensitive and irritated skin. I bought it some time ago when my skin was going through a very strange period of intense dryness with tons of little spots and nothing worked for me -the spots were aggravated if I used something heavy for the dryness, and the dryness was exacerbated if I used something for the spots. This, at that time, was a life saver for me – it did not aggravate the spots, and was moisturising enough for the dryness. This calming cream is especially designed for people with naturally sensitive skin or skin which has become sensitive due to other reasons. This rich cream is paraben, fragrance and colouring agent free. This cream comes in a squeeze tube – which I like; it’s very simple and hygienic, as well as travel friendly without bulky packaging. The texture is very light, and sinks into the skin very quickly without leaving a tacky or oily feeling. It’s quite fluid, more gel than cream like. Given that it’s targetted at sensitive skin, this does not have a strong scent. My skin is back to its normal dryness nowadays, but I still find myself reaching out for this whenever my skin feel congested, or when I’ve done too much to my skin during the week and needed a break. I feel that this calms down my angry skin and allows it to breathe, while still keeping it well hydrated. My skin feels very soft and hydrated after using this. I really enjoyed this and would be looking to buy it again. I believe there is another formula – the Rich Skin Recovery Cream, which I have not tried yet but given how much I have loved this, I’ll be picking that up to try soon.